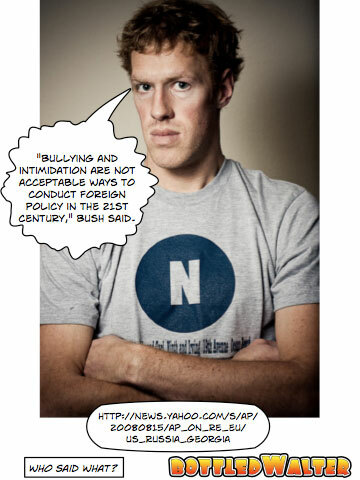 “Bullying and intimidation are not acceptable ways to conduct foreign policy in the 21st century,” Bush said. note: I think the Bush Administration is using the Russian/Georgian situation as an exit strategy for their Presidential situation. If they raise enough tension Halliburton will guarantee business for themselves after Cheney is no longer in a position of administrative power. It’s sad really.